Ever get the feeling you’re going to run out of yarn for a project? I actually cannot ever recall this happening to me. This is something that happens to other people, not me. So I’d cast on ‘plain and simple’ late last year, believing it was only going to take me 2 skeins of Wollmeise, because that’s how much I had in my stash. Never mind the actual amount the pattern specifies. Sure I’ve made a few alterations to include some waist shaping, that’s gotta be less yarn, but probably not enough to compensate. So nine months ago in my wisdom I cast on a 4 ply top, it’s knit to sock gauge on sock sized needles. I’m never going to do that again, you can quote me on that. The upside is, I only have this much yarn left. 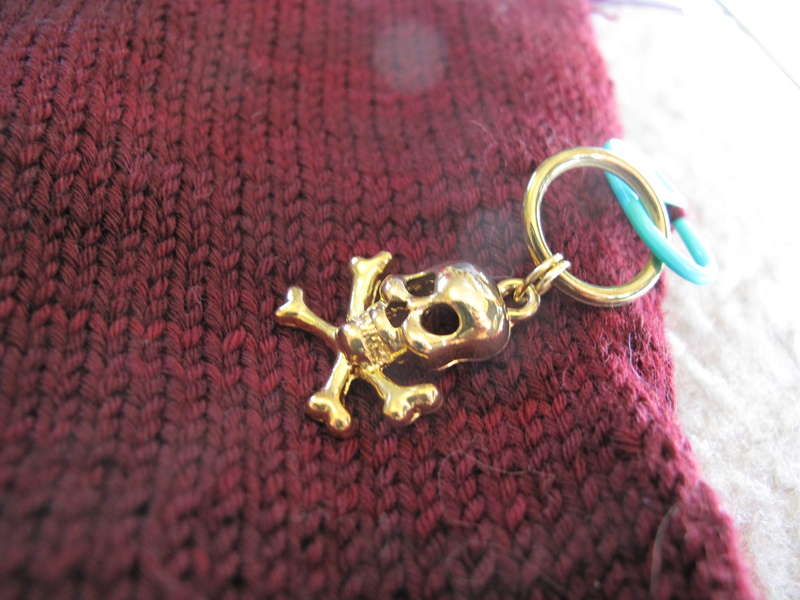 Which means, I only have this much knitting left. 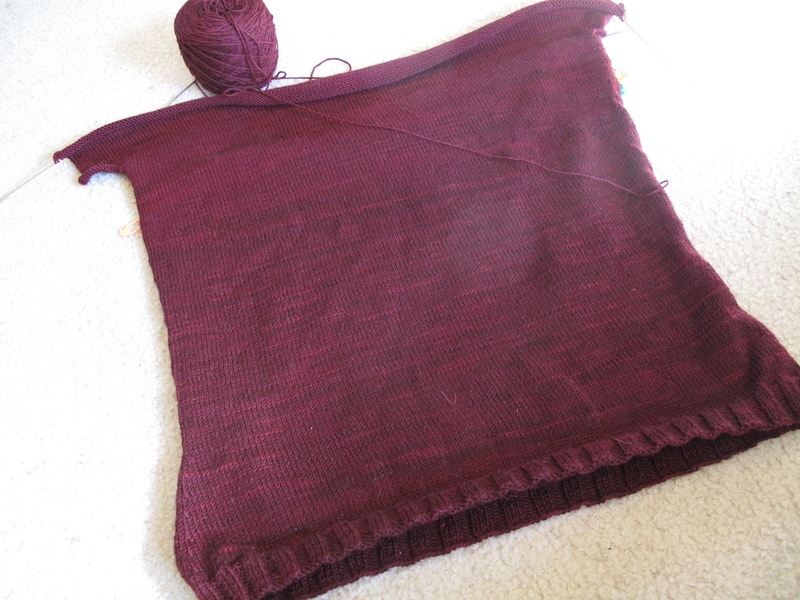 I guess it will be a boat neck rather than the ribbed fold-down bib. I’m ok with that.